These prestigious Tennis Championships are being held at the IIT to select young tennis champions! The Championships are open to all. Tournament Entry Forms are available at all Peninsula centres across the NCR and at the venue. These prestigious Tennis Championships shift to the Delhi Gymkhana Club next month. The Championships are open to all. Tournament Entry Forms are available at all Peninsula centres across the NCR and at the venue. For further details contact the Peninsula office. These prestigious Tennis Championships were held for the first time on the world class synthetic courts of the City Club (Phase IV) to select the "Young Champions of Gurgaon" in various age groups! 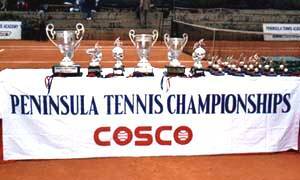 The Peninsula Tennis Masters Championships offers an unique and exciting platform to the ambitious junior to excel at the NCR arena. Qualifying events were held at Peninsula venues across the NCR and participants short listed for the Peninsula Tennis Masters Championship which would be held at the IIT shortly. The event would be played on a knock - out basis. This novel tournament, open to all, is being held for the first time to enable ambitious juniors from all corners of the NCR and other parts of North India to participate at their very doorsteps in an important and very significant tennis tournament. All participants who reached the quarter final stage in their qualifying events would be invited to participate in the Peninsula Tennis Masters Championships to be held at the Indian Institute of Technology, Hauz Khas, New Delhi – 110016. These select trainees from all corners of the NCR and other parts of North India would vie for the very prestigious Peninsula Tennis Master’s title. Peninsula Tennis Championships 2013 held earlier in January, May and June 2013 had a phenomenal response with over 400 participants! 1. League matches will be held as per schedule to be announced. An opportunity for would be champions to hone their skills! Special Winter Camps in tennis by Peninsula coaches certified by the internationally recognised Professional Tennis Registry (PTR) USA. Special capsules for this winter. Trainees to enroll at least 1 week prior to each camp as late entries will not be accepted. Reporting Time for each camp is 15 minutes prior to commencement of the camp on the first day. To enroll see Enrolment. Residential Option available for Winter Camp at Mehrauli centre. Certification course for tennis coaches to be conducted by world famous super coach Dr. Louie Cap from the United States. Finally A Tennis Event Worth Making A Racket About! After the sensational success of the Peninsula Cup - Championships of the NCR, Eternit Everest Cup and the Campa Cup, the Peninsula Tennis Academy continues with the Peninsula Cup - the biggest ever Junior Tennis Tournament in the history of Indian tennis !! The Winner and Runners-Up in both the groups would qualify for the knock-out stage. 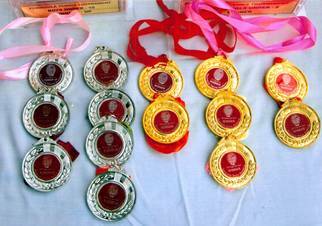 Play-offs would be held to decide the final placements in the league and Scholarship money/Prizes awarded accordingly. The "Whack It" was a new Peninsula platform for the corporate to excel in sports and thereby nurture the fitness culture which today is an integral part of corporate life! The earlier annual events known as the Agilent Cup were a phenomenal success with top corporate vying for the prestigious Trophy. This novel tournament both for the corporate and advertising agencies was held separately at the DDA Siri Fort Sports Complex on Saturday 26th February with the finals of all the 4 sports concluding on Sunday 27th February 2011. The Agilent Cup is a platform for the corporate to excel in sports and thereby nurture the fitness culture which today is an integral part of corporate life! Sponsored by Agilent Technologies Ltd., pioneers and world-wide leaders in the IT industry and organised by Shobiz Event Solutions Pvt. Ltd, the event is managed by Peninsula Sports Management. The Agilent Cup is open to all corporate all over India for participation with teams in either or all events. Next event expected in Winter 2012. Workshop I, II and Junior Coach Workshops are held regularly each year since 1994 in New Delhi and also in Calcutta, Pune, Ahmedabad and Bangalore certifying over 2000 leading coaches from India and South-East Asia. 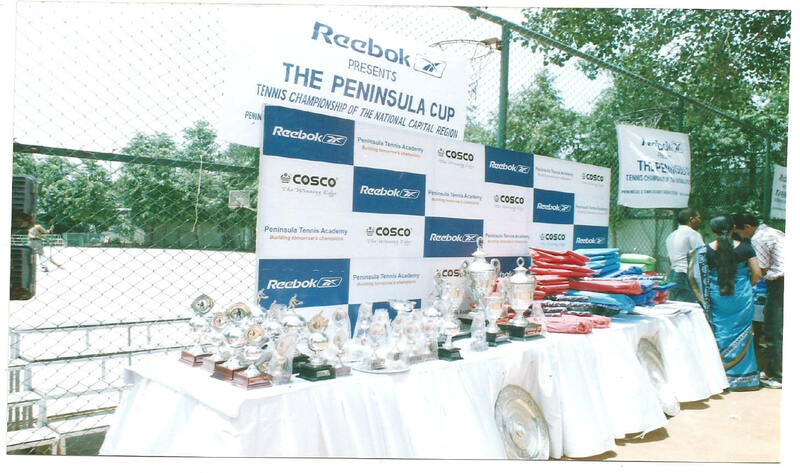 PTR India Championships also held for the PTR members annually. Regular tournaments have been held by the Academy since its inception in 1990 with the aim to unearth talent. These tournaments have been local, state and national level in addition to the monthly academy matches, ladders and leagues. The regularly held major academy events for its trainees have been the Peninsula Championships and the well known Peninsula Cup launched in 2004.